Corporate branding is important for all organizations to influence consumer sales, brand loyalty, and identification. 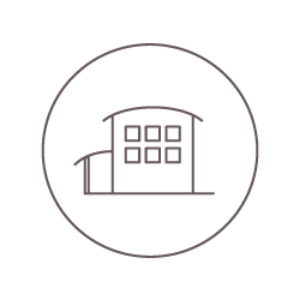 LDA Partners understands this and has the expertise to work with your Design Intent Documents and create the architecture that represents your company. We have implemented architectural branding for national and local companies, auto dealerships and even the neighborhood coffee shop. 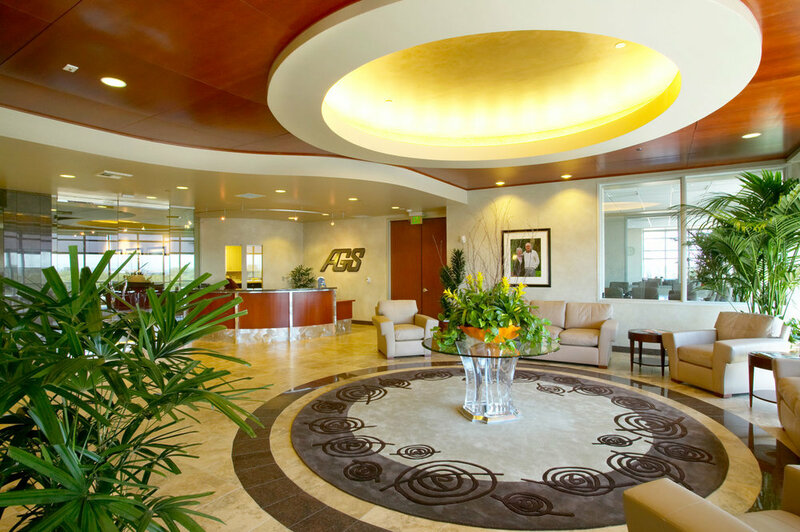 This 2,795 sf tenant improvement for a local bank posed a common problem for commercial improvements. How can the client create its own identity in a non-descript retail space knowing that no exterior improvements will take place? The architect’s solution in this case, was to create a visually striking interior space that becomes its own. 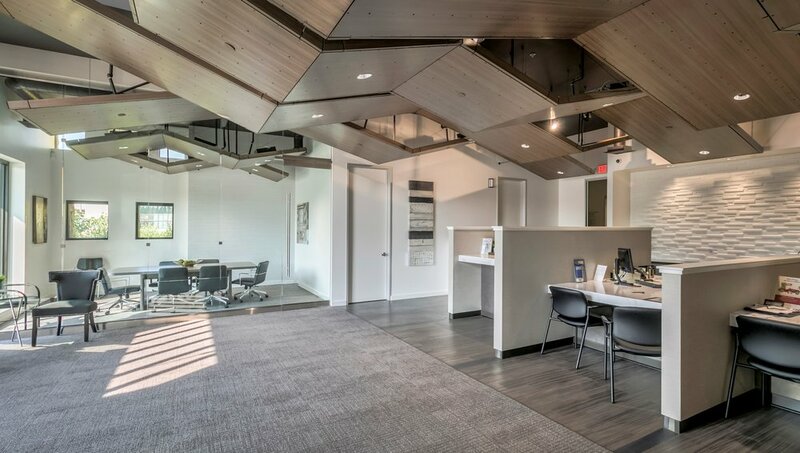 The main feature is a custom designed and built ceiling system that helps define the public spaces and creates an individual identity even within the clients own branch system. 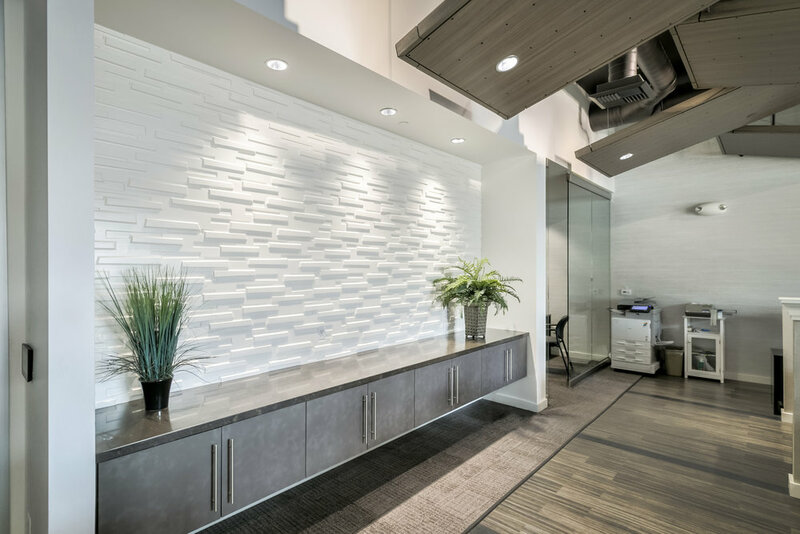 The balance of interior finishes from carpeting to tile, play off the textures of the ceiling treatments & reinforce the design elements. 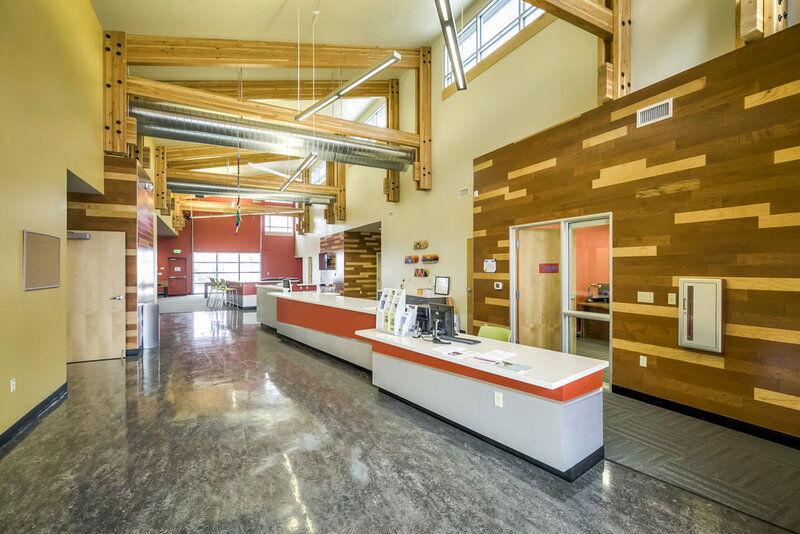 When the City of Lathrop identified their need for a new teen center, they turned to LDA. This project commenced with LDA conducting a feasibility study to evaluate the viability of converting an existing house into the new teen center. When the feasibility study demonstrated that the house was not a viable option, the City identified a site where a new teen center could be built. The City also expanded the project to include a new library as part of the scope. LDA held a series of interactive meetings and community programming sessions as the basis of the design process. The new site also allowed for outdoor spaces where we designed the nation’s first public Parkour course. 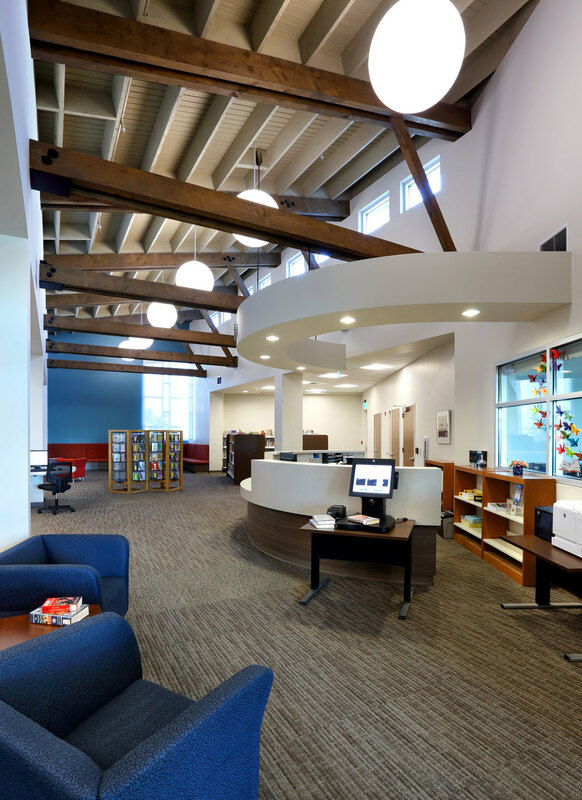 The new teen center and library complex satisfy both community needs and create a hub of community activity for the local youth. The design of the St. Mary's High School Athletic Physical Development and Conditioning Center included conditioning space, classroom, men’s and women’s Varsity, J.V. locker rooms, a training room, and coach’s center. LDA worked closely with the faculty, coaches and administrators to design a new 14,500 SF facility that offers space for student-athlete training and encourages healthy lifestyles/fitness training/education. The facility was also designed to provide college-bound/professional athletes a private facility for training. In addition to meeting all the pragmatic requirements, the complex was designed for maximum durability. 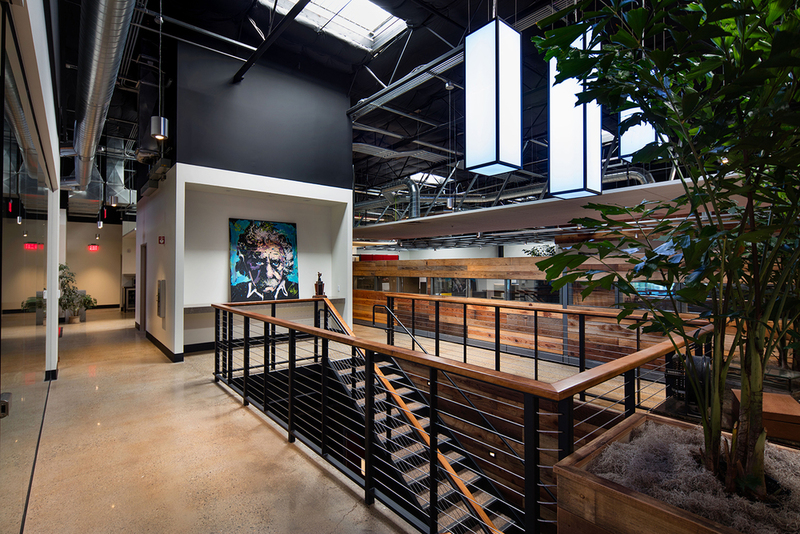 The interior spaces incorporate natural light to bring the exterior environment indoors. LDA also developed design strategies to meet an aggressive construction schedule. Designed as the corporate headquarters for the A.G. Spanos Companies, this new Class A, five-story, 150,000 SF office building is an iconic building in North Stockton. 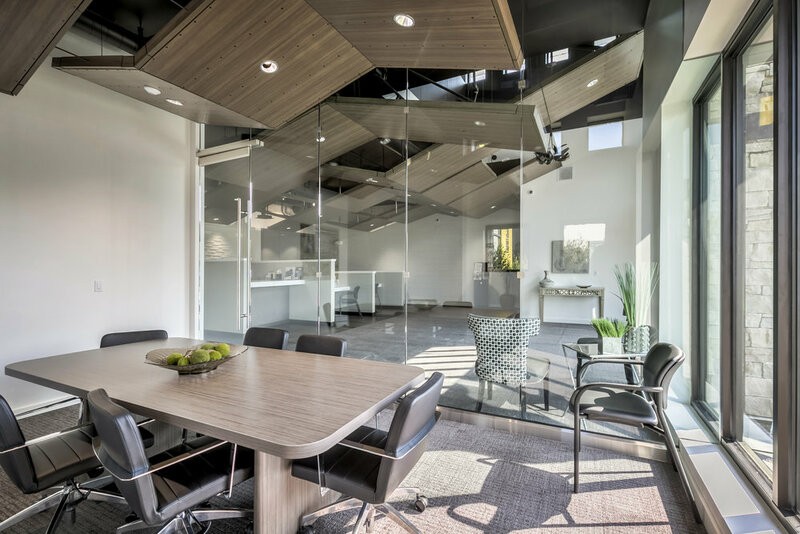 Alex G. Spanos, a nationally recognized developer and owner of the San Diego Chargers, challenged LDA to design this building to reflect the company’s corporate image while adhering to the company’s budget constraints. LDA’s design achieved all the A.G Spanos Companies goals. 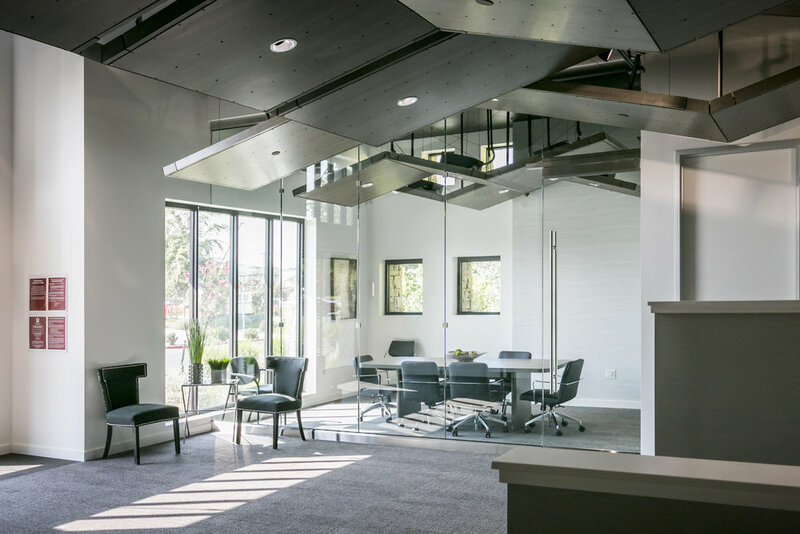 The building features lease office space for outside tenants, a penthouse suite for the A.G. Spanos Companies headquarters office, their 6,000 SF fitness facility, and a roof mounted helipad. 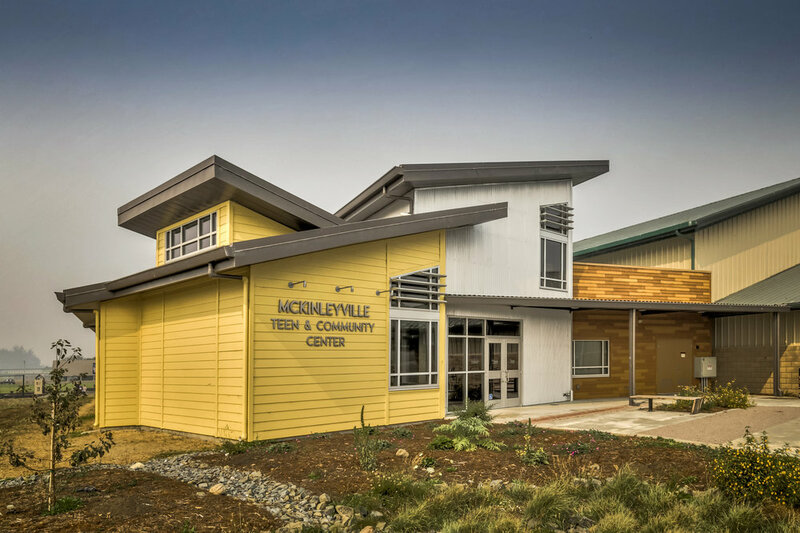 LDA Partners designed a 6,500 SF addition for the existing McKinleyville Teen Center. Work commenced with extensive community meetings with various stakeholders - adults, teens and community leader groups - to clearly identify all facility needs. 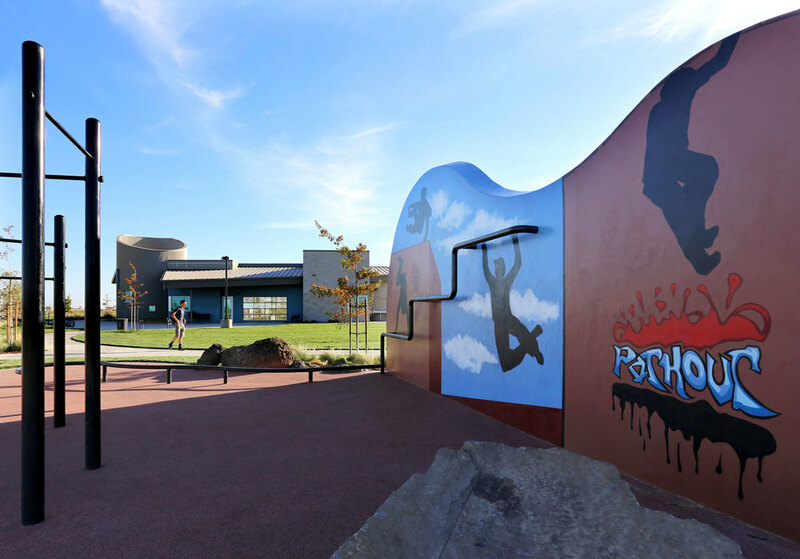 As part of the programming process, new space needs were identified including a community kitchen, teen activity spaces, teen study spaces, as well music rooms, and “outdoor rooms”. 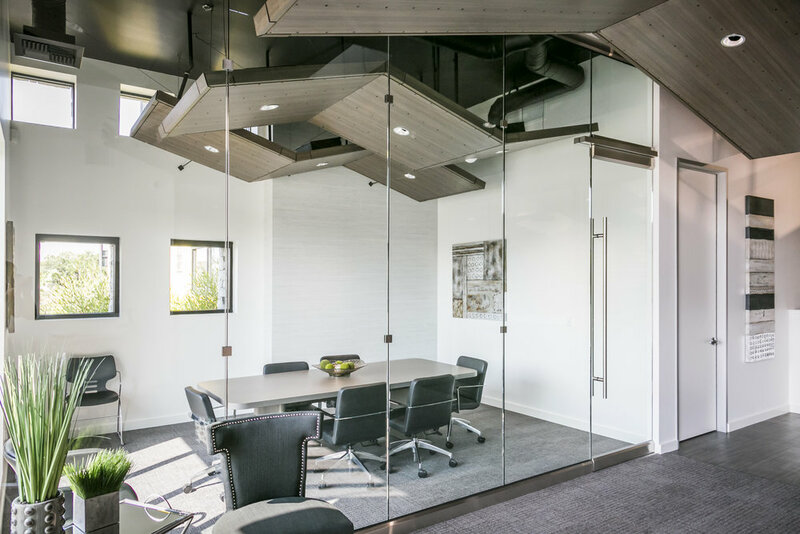 Through LDA’s creative design process all space needs were accommodated with the existing budget funded through a local bond. The Manteca Transit Station has become the jewel of downtown. 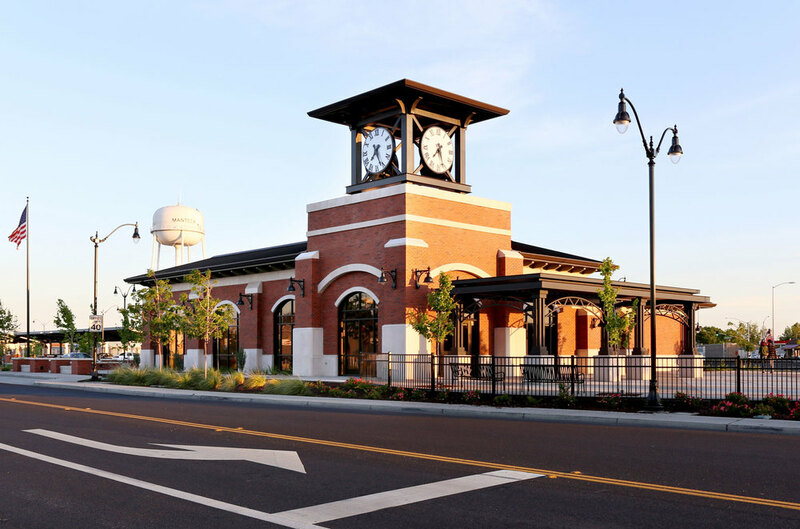 The new 10,000 sf building was designed with an architectural vernacular harkening back to the classic rail period and is reminiscent of the classic ‘Grand Central Station feel’, including a large clock tower. The new building is the main headquarters of the Manteca Transit Authority and includes an adjacent bus station for both local and regional transit operations. The building also includes an upscale community center used for special events and meetings – including a great hall, outdoor patio and courtyard and full kitchen facilities. 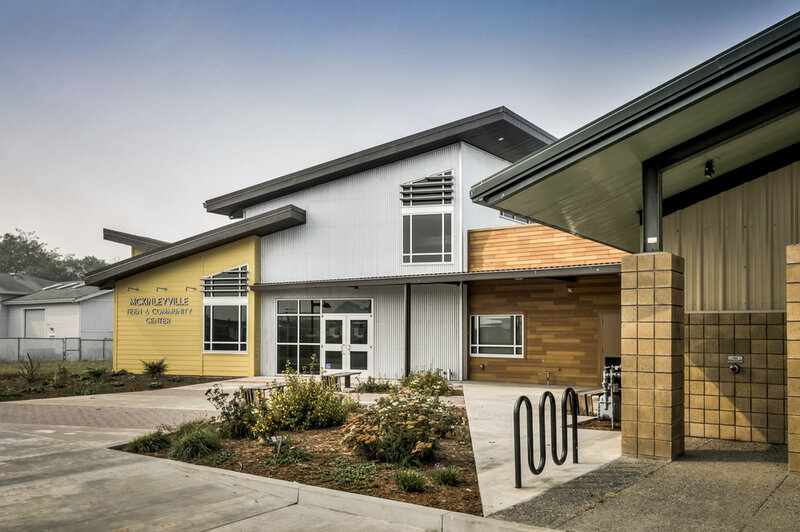 Always being mindful of the use of community funds, LDA developed a design solution that saved the City using simple construction techniques while incorporating aesthetically appropriate materials. This small 2,314 sf tenant improvement and façade renovation project, located in the “old” downtown of Tracy, was envisioned to not only help kick start and revitalize development in a blighted area, but to also establish a precedent in restoration in the neighborhood. Working with the City’s façade improvement program, along with the building landlord, who was responsible for the exterior improvements; and the Bank, who was responsible for the interior improvements, the architect team created a seamless improvement that brought back the luster of an architectural gem of yesteryear. Interior finish cues were taken from the context of the building history, incorporating wainscoting, trims and ceiling details typical of the era, coupled with the modern needs of the tenant. On the exterior, several layers of unsympathetic addition and “renovations” were removed to get back to the original brickwork. A new exposed steel transom was installed to create a focal point for the entry, and act as a highlight to the brick facade. In areas where brick was missing, new brick was reviewed to ensure it matches the texture and tone of the existing. 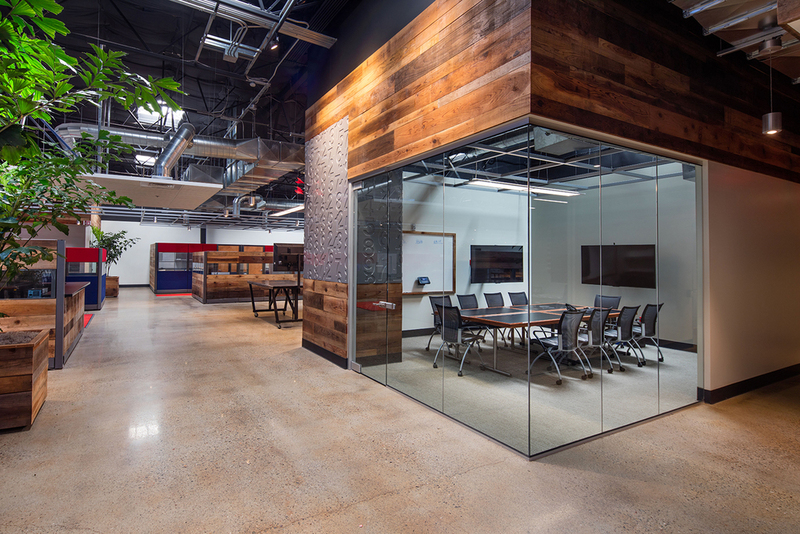 LDA renovated a vacant furniture showroom to house the new corporate office, warehouse and fabrication shop for Collins Electric. 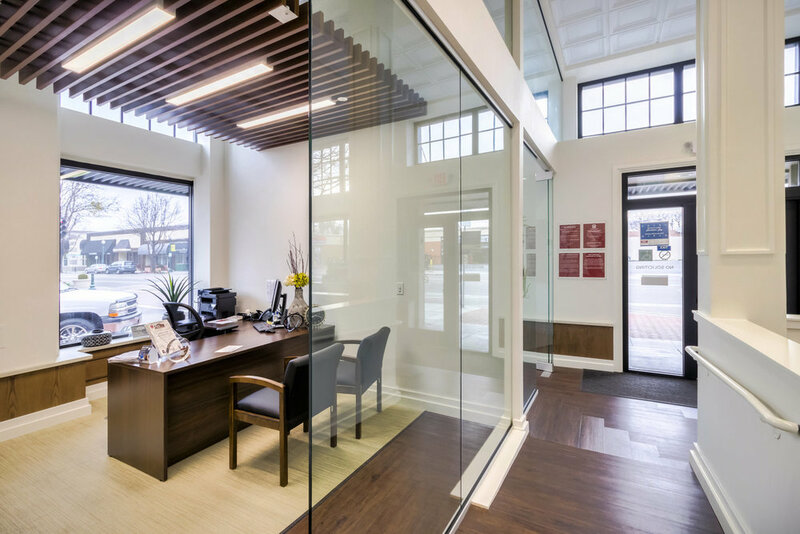 The goal on this project was to not only create a functional operation, but to develop a creative space that would become a showplace for exhibiting Collins’ electrical trade. 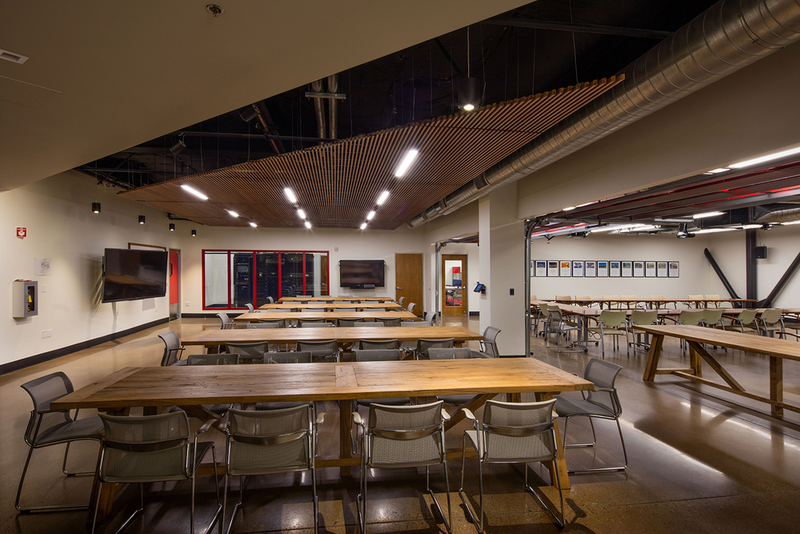 The LDA solution highlighted electrical installations – light fixtures and electrical details – but also displaying wiring, conduit, and lighting in an exposed infrastructure system throughout the space. LDA designed a 22,000 SF mezzanine within the existing building that will accommodate administrative and project management staff. 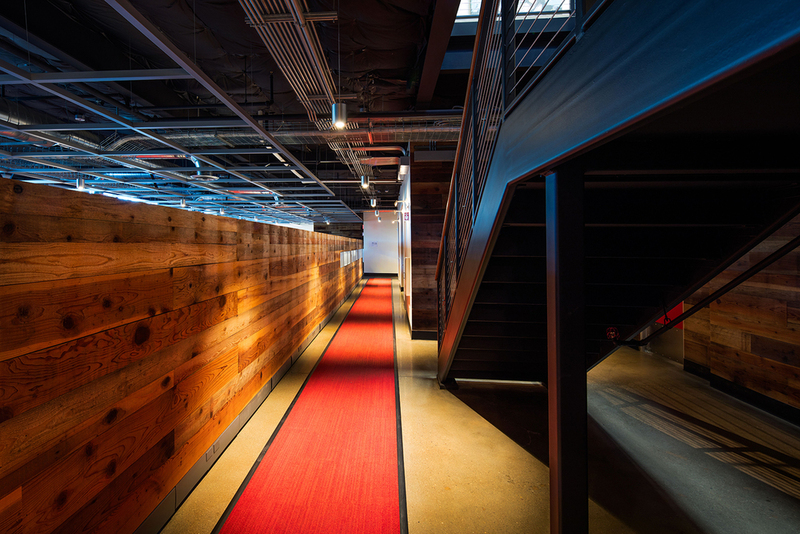 In addition, the lower level will house the offices for field supervisory personnel, computer aided drafting staff, and employee conferencing and break areas. 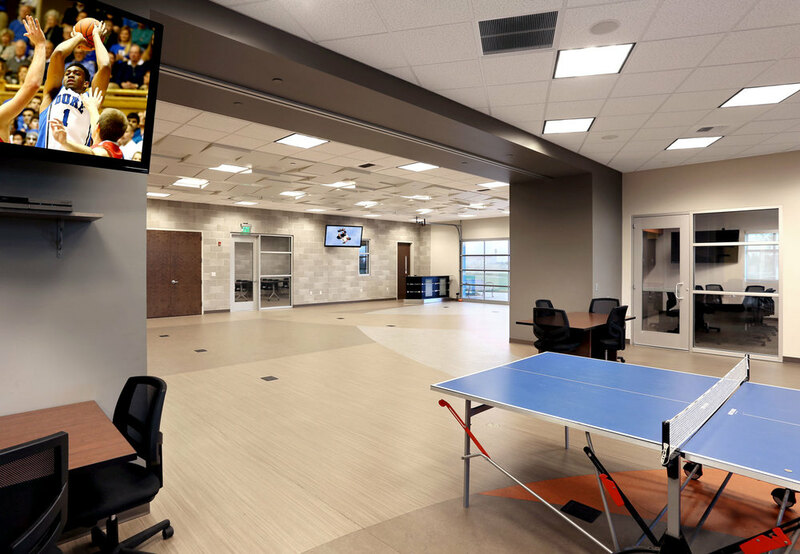 The ownership of Collins Electric committed to create a comfortable and “fun” working environment for their staff. 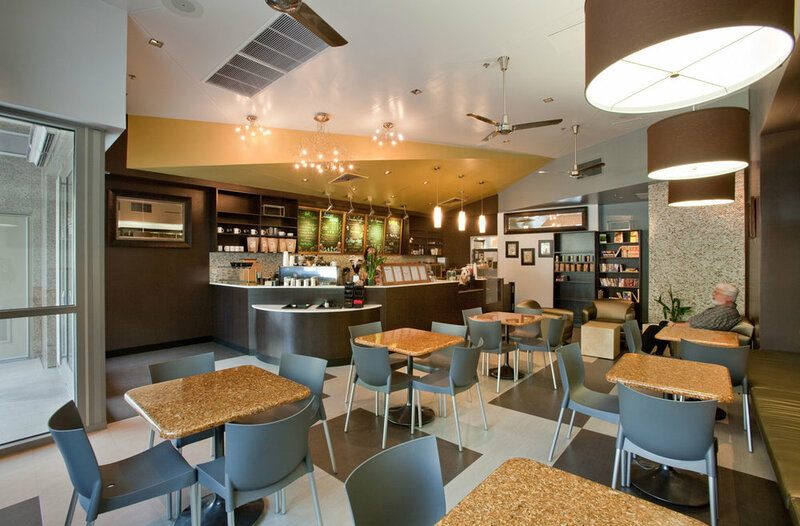 LDA designed the Freedom Coffee to be an upscale, modern cafe. Located in the San Joaquin County Administration Building, the County Administrator wanted to create a quality retail operation that would attract street traffic and create an inclusive environment between the County and the local community. 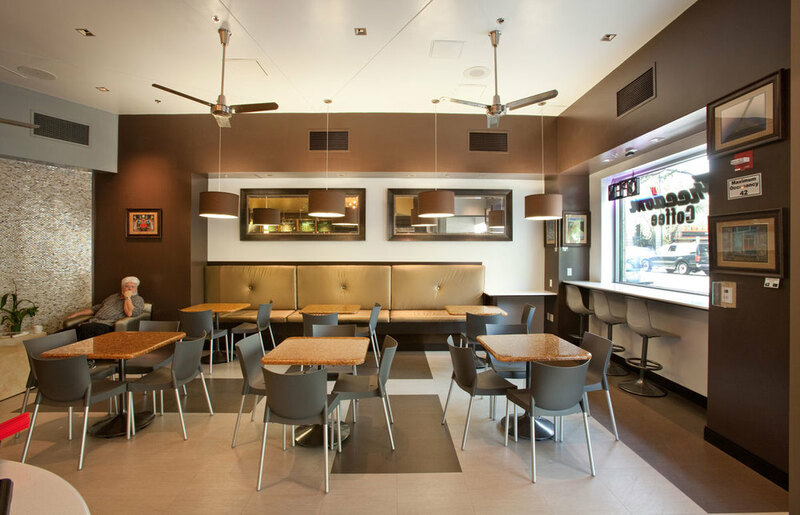 LDA designed a trendy, hip gathering place that rivals any urban coffee house. Using creative finishes and lighting, the design concept creates a stylish retail space that compliments the original building design.